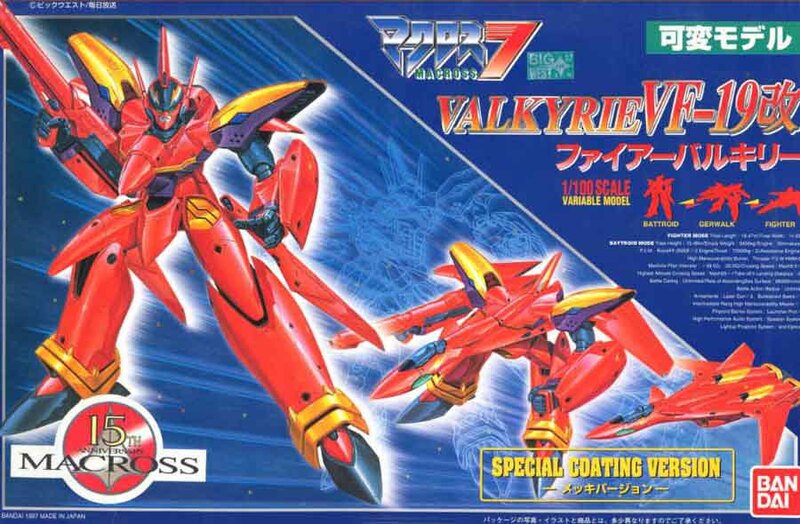 This is a fully-transformable and poseable large-scale kit of the red Valkyrie from the Macross 7 series. It can transform into Battroid (robot) mode, Gerwalk ( two-legged walking aircraft ) mode, or Fighter mode. This model kit includes poly-caps for smooth joint action, metal landing gear struts and transformation hinges, rubber tires, clear canopy and light parts, and decals. 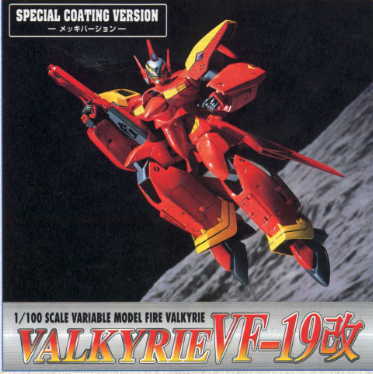 This is a special coating version ( like Gundam MG series ).